April Fools’ Day has already passed (thankfully) this year, but the pranks are apparently still living on at Google’s campus. As can be seen in the photo above, Sergey Brin’s Tesla was given quite the makeover at the beginning of this week by his co-workers. Since this photo was taken yesterday by Forbes writer Ryan Mac, I’d say Brin is either warming up to the new look or too busy building Glass to worry about it. Yes, it’s completely wrapped in pink. 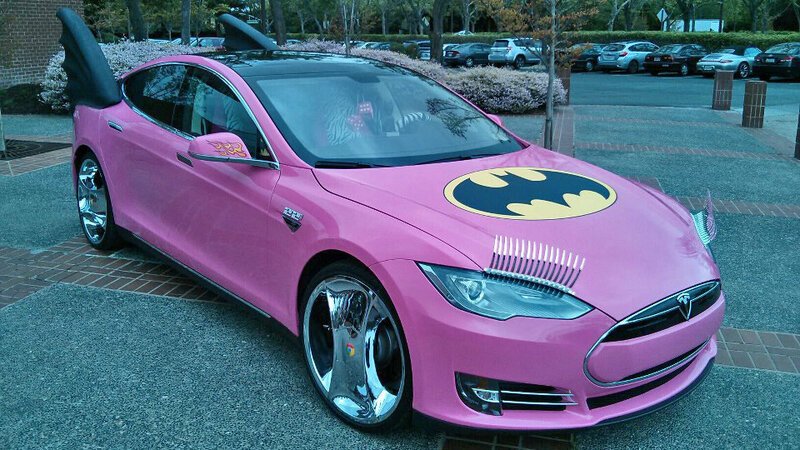 And indeed those are eye lashes on the front headlights. If you look closely enough, you can even see flames on the mirrors as well. 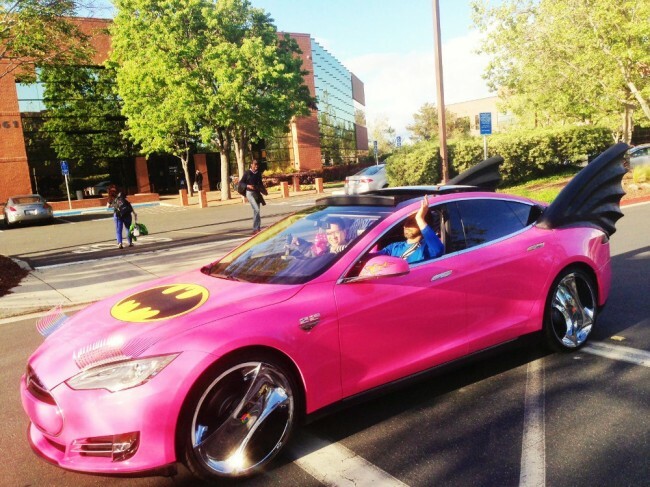 According to Yahoo’s Motoramic, Brin has become nicknamed “Batman” by close friends, hence the logo on the hood and Batmobile-esque wings toward the rear. Last, but not least, check out the Chrome logos on his chrome two-spokes. Yikes.